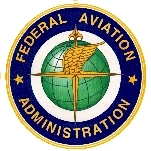 The Federal Aviation Administration (FAA) oversees the US commercial aviation industry for the Department of Transportation. Since its beginning, FAA has had two main duties: promote the airline industry and ensure the safety of American passengers. The FAA has had mixed success carrying out its safety mission, including recent accounts of allowing one airline to fly planes not fully inspected by federal officials. Its tarnished reputation only got worst following the Sept. 11 hijackings of four commercial airliners. Federal regulation of the airline industry first began in the 1920s when the industry was still developing its wings. The Air Commerce Act of 1926 placed the US Commerce Department in charge of commercial air travel, leading to the creation of the Aeronautics Branch within the department. The Aeronautics Branch established the first safety standards for aircraft, as well as enforced air traffic rules, licensed pilots, certified aircraft and established airways. In 1934, the Aeronautics Branch was renamed the Bureau of Air Commerce (BAC) to reflect its enhanced status within the Commerce Department. BAC encouraged a group of airlines to establish the first three air traffic control centers (ATCs). In 1936, the bureau took over the centers and began to expand the ATC system. The first air traffic controllers used maps, blackboards and mental calculations to ensure the safe separation of aircraft traveling along designated routes between cities. The following year the nation experienced its first high-profile airline accident when a small TWA flight out of Los Angeles crashed in dense fog while trying to land in Kansas City, killing five of the nine people on board. One of the dead was a US Senator, Bronson Cutting (R-NH). The crash sparked Congressional hearings into airline safety, and three years later the Civil Aeronautics Act of 1938 was passed. The legislation transferred federal civil aviation responsibilities from the Commerce Department to a new independent agency, the Civil Aeronautics Authority. The new body was given the power to regulate airline fares and determine the routes that air carriers would serve. In 1940, President Franklin Roosevelt split the authority into two agencies, the Civil Aeronautics Administration (CAA) and the Civil Aeronautics Board (CAB) and placed both within the Commerce Department. CAA was responsible for air traffic control centers, pilot and aircraft certification, safety enforcement and airway development. CAB was entrusted with safety rulemaking, accident investigation and economic regulation of the airlines. Following World War II, the airline industry began to grow rapidly as more Americans embraced flying as a means to move around the country. With this increase in flights came an increase in safety incidents. During the first four months of 1956, 452 near misses were recorded. Two months later the nation was shocked by the news of a mid-air collision over the Grand Canyon involving a United Airlines plane and a TWA flight. All passengers and crew, 128 in total, died. The accident prompted Congress to approve funding for airports to install radar systems (many of them had none) and create a commission to study air traffic control systems. Two years later, another accident involving a commercial plane and an Air Force jet in Maryland led to new legislation creating the Federal Aviation Agency (FAA) to provide better oversight of the industry while also helping it to grow. The 1970s gave witness to several key developments and accidents involving commercial airlines. In 1977, the worst accident in commercial aviation history occurred inthe Canary Islands off of the northwest coast of Africa when two Boeing 747s collided, killing 583 of 644 people on board both aircraft. The following year, Congress decided to deregulate the airline industry, which meant the FAA was no longer responsible for setting price controls for flights. Consumer advocates and safety experts expressed concerns over how deregulation might impact airline safety. That same year, a PSA 727 collided in midair with a small plane over San Diego. The incident produced a dramatic photo taken from the ground of the PSA jet hurtling towards the earth after the collision. All 135 people aboard the airliner, both pilots of the Cessna, and seven people on the ground were killed in what is still today the worst aviation disaster in California history. In 1979, an American Airlines DC-10 crashed on takeoff from O'Hare International Airport after catastrophic mechanical failure. All 271 people on board and two on the ground were killed. To date, the accident is the worst non-terrorist-related airliner incident to occur on American soil. Meanwhile, new advances in computer technology and radar allowed the FAA to create a new air traffic control system that relied less on human participation to keep track of and route flights. By then air traffic controllers had unionized and begun to demand higher wages and benefits. A period of discord between airline management and the Professional Air Traffic Controllers Organization (PATCO), the union representing air traffic controllers, culminated in a 1970 “sickout” by 3,000 controllers. Air traffic controllers were prevented from going on strike under federal law, but this restriction did not prevent PATCO members from walking out in August 1981. President Ronald Reagan, in an act viewed by labor as favoring the airline industry, ordered the firing of more than 11,000 striking air traffic controllers and decertified PATCO. The firing of the air traffic controllers produced considerable worry among consumer advocates and airline safety experts over the state of commercial flight safety. As it turned out, the 1980s featured several dramatic airline accidents, although none of them were related to faulty performance by air traffic control operators. In 1985, a Delta Air Lines airliner crashed on approach to Dallas-Fort Worth International Airport due to wind shear from a sudden microburst thunderstorm. Of the 163 passengers and crew aboard, only 29 survived. Three years later, one of the most famous terrorist-related airline accidents occurred when Pan Am Flight 103, a Boeing 747, disintegrated in the air over Lockerbie, Scotland, after a terrorist bomb exploded on board. All 259 people on board and 11 on the ground were killed. Libya’s dictator, Muammar al-Qaddafi, was accused of being behind the attack. The following year, 1989, a McDonnell Douglas DC-10 exploded in mid-air over the Sahara desert when a bomb hidden in its forward cargo hold detonated. All 170 people on board were killed. Responsibility for the bombing was later traced back to Abdullah Sanussi, Qaddafi’s brother-in-law. That same year, a United Airlines DC-10 suffered a complete hydraulic system failure over Iowa after the tail-mounted engine disintegrated. The crew managed to bring the aircraft into a crash landing at the Sioux City, Iowa, airport. Of the 296 people on board, 111 die. In response to the Lockerbie incident, the administration of President George H.W. Bush conducted a review of airline security in the US. FAA’s record of protecting American passengers was ridiculed by some members of Congress, citing the recent rash of accidents stemming from either mechanical failures or terrorism. The Government Accountability Office issued a report in 1990 urging FAA to improve its efforts in four key areas: passenger screening, airport security controls, security inspections and training for security personnel. That same year, President Bush’s own panel of experts blasted FAA for contributing to the Lockerbie incident by not enforcing its own safety regulations. Legislation was adopted, the Aviation Security Improvement Act of 1990, that mandated changes in the way FAA carried out its mission. Some critics said the move did little more than expand FAA’s bloated bureaucracy. FAA’s responsibility for inspecting airline maintenance work was called into question in the mid 1990s. In 1994, a USAir flight crashed while attempting to land at Pittsburgh, killing all 133 people on board. Investigations showed that a fault in the Boeing 737 rudder was to blame for the crash. During this same time period, a no-frills airline, ValuJet, was increasingly coming under attack by the FAA’s own Inspector General for numerous safety and maintenance incidents. FAA officials ignored reports by the IG of the dangerous manner in which ValuJet officials were running their company. Finally, in 1996, FAA leadership as well as other federal officials couldn’t help but take notice of ValuJet when one of its planes, Flight 592, crashed in the Everglades near Miami due to a fire in its cargo hold. All 110 people on board were killed. The cause of the crash was blamed on oxygen generators that had been improperly stowed in the cargo hold of the plane, causing a fire that swept through the passenger cabin. ValuJet subsequently went out of business following a lengthy investigation and numerous lawsuits. As if that wasn’t bad enough, another terrible airline accident occurred a few months after the ValuJet crash. In July 1996, TWA Flight 800, a Boeing 747, exploded in mid-air above the ocean off East Moriches, New York, killing all 230 people on board. The FBI investigated the crash along with the National Transportation Safety Board due to suspicions that the plane had been shot down by a missile fired by terrorists. Conspiracy theories blamed the downing on a missile fired by the US Navy. FAA officials blamed the crash on faulty wiring that ignited a fuel tank in one of the aircraft’s wings, although investigations could not conclusively say this was the reason. Although terrorism was not blamed for the accident, an investigation led by Vice President Al Gore found the FAA’s bag checking procedures to be insufficient to properly secure future flights from bomb attacks. Five years later, there was no doubt about the cause of the worst series of aviation crashes in US history. On Sept. 11, 2001, four American commercial airliners were hijacked by terrorists and rerouted to New York City and Washington, DC. American Airlines Flight 11, a Boeing 767 with 92 people on board, was flown into the north tower of the World Trade Center, killing everyone on board and numerous others in the building. Another United Airlines 767 plane, Flight 175, with 65 people on board, crashed into the south tower, killing all on board and many more on the ground and in the building. The collapse of both towers brought the total death toll from the two crashes to at least 2,759 including the hijackers and 343 firefighters. In Washington, DC, American Airlines Flight 77, a Boeing 757 with 64 people on board, was crashed into the Pentagon, killing all on board as well as 125 people in the building. The last hijacked flight, United Airlines Flight 93, a Boeing 757 with 44 people on board, crashed into a field in rural Pennsylvania after passengers struggled with the hijackers for control of the plane. Only two months later, another American Airlines plane crashed into a neighborhood in New York City, killing 265 people. Officials immediately suspected terrorism was to blame, but subsequent investigations placed the fault of the crash on the plane’s vertical tail fin, which snapped just after takeoff. In the wake of the 9/11 hijackings, federal officials decided it was time for a dramatic change in airline security procedures. Instead of allowing airlines and airports contracts with private companies to provide screeners, Congress federalized airport security operations and created the Transportation Safety Administration to run the operations. Not only was airport screening taken away from FAA, but so was control of the federal Air Marshals program, which was revamped and given to TSA. These changes were seen as an indictment of the FAA’s inability to properly protect Americans and commercial flights from terrorists. Part of the Department of Transportation, the Federal Aviation Administration (FAA) regulates the commercial aviation industry in the US. Since its beginning, FAA has had two main duties: promote the airline industry and ensure the safety of American passengers. The FAA has had mixed success carrying out its safety mission. As the primary oversight agency for airlines, FAA maintains voluminous records of regulations and standards that companies like United Airlines, Delta, Southwest and others must follow in order to transport passengers. FAA also sets rules for airport operations and pilots. The nations’ air traffic control system, which directs commercial, private and military aircraft all across the US, is also the responsibility of the FAA, which employs all traffic controllers. FAA continues to be responsible for issuing federal regulations that govern the activity of the commercial aviation industry. Among the thousands of documents and rules FAA produces and maintains are standards that apply to Air Carriers & Operators and Pilots, Flight & Ground Instructors. FAA also issues advisories and guidance for how airports should be run as well as rulebooks and manuals that explain required procedures for aircraft, aviation and examiners & inspectors. FAA is responsible for certifying that all commercial aviation aircraft, pilots, companies and airports meet the prescribed standards set forth by federal regulations. Extensive details are made available on Aircraft Certification (approved designs, airworthiness, operational safety), Airline Certification, Airmen Certification, Airport Certification, and Commercial Space Certification (private ventures into space, such as satellites). FAA employs 35,000 air traffic controllers, technicians, engineers and support personnel whose jobs are to manage and direct all commercial, private and military aviation around the United States. FAA’s Air Traffic Organization (ATO) is charged with this responsibility. ATO has nine service units that handle the following: Acquisition and Business Services; Communications; En Route and Oceanic Services; Finance; Operations Planning; Safety; System Operations Services; Technical Operations Services; and Terminal Services. ATO also publishes information about the Air Traffic Controller Workforce Plan and Air Traffic Publications. Another area of responsibility is the Airport Improvement Plan, in which FAA provides grants to public agencies, private owners and entities for the planning and development of public-use airports. FAA provides a large volume of information about construction on or near airports for local operators. Details are available on Acquiring Land for Airports and Relocation Assistance; Airport Lighting; Construction Standards; Design Software; Design Standards; Obstruction Evaluation/Airport Airspace Analysis; Opening or Closing an Airport; Pavement Design and Construction; and Procurement and Contracting under AIP. Even more information is provided under the airport construction section. If individuals have safety issues they wish to notify the FAA about, a hotline (800-255-1111) exists to call and file reports. The safety section also produces safety advisories and alerts, safety programs involving pilots, runways and airports and details about hazardous materials. Virtually every kind of fact and statistic related to airline operations, airports and other aspects of the commercial aviation industry can be found through this section of the FAA. There are Accident & Incident Reports (Preliminary Data and Final Data); Airline On-Time Statistics & Delay Causes; Airmen Knowledge Test Statistics; Commercial Space Data (Upcoming & Recent Launch Data and Historical Launch Data); Unruly Passengers Statistics; Passenger Boarding and All-Cargo Data; and Aviation Safety Information Analysis and Sharing (ASIAS). The Environmental Program assists airports with the implementation of the National Environmental Policy Act (NEPA) and other federal environmental laws and regulations. This includes airport noise compatibility planning, airport noise and access restrictions, environmental review for airport development, and the application of the Uniform Relocation Assistance and Real Property Acquisition Policies Act of 1970. The environmental section covers areas such as the Air Quality Handbook, the Advisory Circular 34-1B (PDF) regarding Fuel Venting and Exhaust Emission Requirements for Turbine Engine Powered Planes, Aircraft Noise Issues, Airport Environmental Program, Environmental Records of Decision and the Voluntary Airport Low Emissions (VALE) Program. Management & Engineering Tech Intl. The Washington Consulting Group, Inc. Examples of FAA contractors and their contracts include ASRC Management Services which was given a $215 million contract to work on the Mike Monroney Aeronautical Center in Oklahoma City, OK for up to five years. The company will provide engineering support services to the FAA. Computer Sciences Corporation, which has spent almost three decades working for FAA, was awarded a $68 million contract to design, develop and test components of the FAA’s future Controller Pilot Data Communications Link system. Another longtime contractor, BAE Systems, was given two contracts totaling $107 million by the FAA. BAE Systems, which has done work for the agency for 10 years, received a $67 million contract to provide systems engineering and support services and a $40 million contract to provide management and financial support services. Tetra Tech Inc. received its largest FAA contract to date when it was awarded a $60 million deal to support FAA’s Global Positioning System. Tetra Tech will provide technical engineering and business support services to help manage the agency’s satellite navigation system. The deal followed on the heels of another FAA contract worth $52 million to provide IT support to the Office of Security and Hazardous Materials. Harris Corporation received a $5.7 million contract extension to the Weather and Radar Processor program, bringing the company’s total to $131 million it has received from the FAA since 1996. WARP is a next-generation weather and radar system that allows FAA officials to consolidate weather data from several sources into a single, integrated display to support air traffic operations nationwide. Computer manufacturer Lexmark sold the FAA $60 million in laser printers and other computer equipment for the agency’s 800 offices. Following the hijackings and crashings of US airliners on Sept. 11, 2001, the federal government appointed a special panel to conduct a far-reaching investigation into how the attacks were allowed to occur. In the course of its investigation, the National Commission on Terrorist Attacks Upon the United States complained that the FAA had been “less than forthcoming” when it came to turning over documents, forcing the commission to issue a subpoena to gather more information. What the commission found out while interviewing numerous FAA officials was that on the day of the attacks, an FAA manager at the New York Air Route Traffic Control Center recorded interviews with six controllers who helped track or communicate with the hijacked planes. The manager reportedly wanted to record the accounts while the details of the event were still fresh in the minds of the controllers. But the commission was unable to find out what had been recorded because a second FAA manager destroyed the tape. According to a report by the Department of Transportation’s Inspector General (IG), the second manager promised a union official representing the controllers that he would “get rid of” the tape after controllers used it to provide written statements to federal officials about the hijackings. The second manager said he destroyed the tape between December 2001 and January 2002 by crushing the tape with his hand, cutting it into small pieces and depositing the pieces into trash cans around the building. Following the attacks, the FAA sent out an email to employees informing them to retain all information regarding the 9/11 events. After learning of the tape being destroyed, FAA officials offered conflicting accounts as to whether the second manager would be disciplined for his actions. FAA officials also said that they believed the tape would not have yielded any additional information from written accounts provided by the air traffic controllers who were interviewed. In April 2008 Congressional hearings revealed that the FAA’s safety operations in Texas had allowed Southwest Airlines to conduct numerous flights over several years without being fully inspected. The failure by FAA to carry out the inspections was revealed by agency whistle-blowers, one of whom lost his job before the FAA was forced to reinstate him. As a result of the oversight lapse, two FAA managers were disciplined. One was the regional safety inspection manager based in Texas, who covered Texas, Arkansas, Louisiana, New Mexico and Oklahoma flights by Southwest. Southwest Airlines faced a $10 million fine for flying more than three dozen planes without first having FAA inspectors conduct thorough reviews of the planes’ internal controls. FAA Chief Defends Cooperation with Airlines: Letting airlines police themselves has worked well, Robert Sturgell tells a Senate subcommittee. Tucker Carlson did an unbelievable expose on FAA selection and hiring --- and impact of "diversity" as it relates to LOWER hiring standards. YOU NEED TO CHANGE THIS -- WE WILL GET THIS TO TRUMP. Has anyone looked into all of the missing flights across the atlantic during the huricanes? I had a flight from dtw to ams on sept. 28 which disappeared off the flight status records, records were altered to be domestic flights for those flight numbers, the flight was neither delayed nor cancelled,I was promised a partiaal refund then they renigged on everything. No record of my flight ever landing was on record that I could find on the ams end. All flights that day for that destination had a similar non-status. I would assume that there may be many flights in this category of "missing" as there were 5 hurricanes between the US and europe that da, and over a 4 or 5 day timeframe. I reported this to DOT shortly after the flight, they forwarded my complaint to the airline, and they stonewalled and totally gave me the runaround. The increase of jet aircraft over my house is incredible. There is not a minute of the day that we do not hear the whining of engines. We no longer enjoy our yard, we enjoyed the shaking of windows, things falling off the shelf, and the dirt blowing around from the low flying Constant air traffic. We now have no live birds only dead ones from avoiding aircraft. There is no way and no one to complain to. I have tried calling the airport. I have called the FAA. My complaints are falling on deaf ears. How is their profit more important than my peace and enjoyment of my home? There was a time when I ran outside every morning to see and hear the birds. Now I can only hear engines. We've been invaded,Sanity shaken. Privacy completely violated not to mention the ecosystem disrupted or completely extinct. how can this be OK? Just file another noise complaint? That seems to be the answer to everything. But that's not the whole issue. Somebody please listen to me. And do something. This is a neighborhood! The penalty on consumers for changing flight reservation after first 24 hours has become so exorbitant, the penalty itself can be more than airfare. I urge FAA and Obama administration look into this and put s restriction, if not total ban, on this behavior. In the middle of one of its largest ever projects–the rollout of a new air traffic control system, dubbed “NextGen”–the Federal Aviation Administration (FAA) lost Administrator Randy Babbitt, who resigned on December 6, 2011, days after he was arrested for drunk driving outside of Washington, DC. FAA, which oversees the US commercial aviation industry for the Department of Transportation, with a mission to promote the airline industry and ensure the safety of its passengers, has been led ever since by Acting Administrator Michael P. Huerta, whom President Obama has nominated to be the next permanent FAA Administrator. Born in California circa 1956 to Solomon T. Huerta and Della Montoya Huerta, Michael Huerta earned a B.A. in Political Science at the University of California at Riverside in 1978 and an M.A. in International Relations at Princeton University in 1980. Huerta served as commissioner of New York City’s Department of Ports, International Trade and Commerce from 1986 to 1989. In January 1989, he left to serve as the executive director of the Port of San Francisco, where he remained until 1993. From 1993 to 1998, he served in two senior positions at the Department of Transportation, first as an associate deputy secretary to Secretary Federico Peña from 1993 to 1997, and as chief of staff to Peña’s successor, Rodney E. Slater. Huerta left government to serve as managing director of the 2002 Olympic Winter Games in Salt Lake City, a position he held from 1998 to 2002, focusing in part on transportation issues. In 2001, he even registered as a lobbyist for the Salt Lake City Olympic Organizing Committee. While in Salt Lake City, Huerta worked closely with presumptive Republican 2012 nominee Mitt Romney, who was president and CEO of the 2002 Games. After the games were finished, Huerta went to work as group president of the Transportation Solutions Group at Affiliated Computer Services, a Xerox subsidiary specializing in business processes and information technology, from 2002 to April 2009. Huerta joined then President-elect Obama’s transition team, working on transportation issues. President Obama nominated Huerta as deputy administrator of the FAA in December 2009, but his Senate confirmation was held up by Senator John Cornyn (R-Texas), who wanted more fighter drones patrolling the Mexico–United States border near Corpus Christi. After waiting more than five months, Huerta became deputy administrator of the FAA on June 23, 2010. Huerta is married to Ann Sowder, and they have a son, Matthew. A lifelong Democrat, since 1990 Huerta has contributed $30,000 to political candidates and causes, all but one of them Democrats, including $6,500 to the Democratic National Committee, $750 to President Bill Clinton’s 1996 re-election campaign, $2,300 to Hillary Clinton’s campaign in 2007, and $2,300 to Barack Obama’s campaign in 2008. Huerta’s lone Republican contribution was to Mitt Romney’s 2008 primary campaign, to which Huerta donated $2,300. J. Randolph “Randy” Babbitt, an aviation consultant and former pilot-union boss, was sworn in as the administrator of the Federal Aviation Administration (FAA) on June 1, 2009, as it began to overhaul air-traffic control equipment through the NextGen project, a billion-dollar effort to use satellites rather than ground-based radar to guide airplanes. Born and raised in Coral Gables, Florida, Babbitt, 62, is the son of W.T. “Slim” Babbitt, a retired Eastern Airlines captain, and Margaret Babbitt. He attended the University of Georgia and the University of Miami before beginning his own career as a pilot for Eastern in 1966. During his 25 years as a commercial airline pilot flying DC-9s, he became actively involved in the Air Line Pilots Association (ALPA), the world’s largest union of airline pilots. In the early 1970s, he served on several local ALPA committees for Eastern pilots, and was later elected and served two years as vice chairman of the Eastern pilots based in Miami. Babbitt also chaired ALPA’s National Collective Bargaining Committee and its Presidential Committee on Labor Standards. In 1985, he was chosen as the union’s executive administrator, which called for assisting the president of ALPA in a wide range of areas, including administering staff departments, acting as liaison between the national office and membership councils and pilot committees, and troubleshooting collective bargaining situations. Babbitt was in this position when Eastern Airlines went on strike in 1989—which resulted in 3,000 employees losing their jobs to replacement workers hired by the airline. Some of the fired pilots filed a class action lawsuit against the union on grounds that it failed to pursue other jobs for them. In 1990, Babbitt was elected president and CEO of the union, serving two terms. The following year he publicly slammed the federal government’s deregulation of the airline industry, claiming the move had sent it into a “nosedive” and cost too many jobs. He also publicly criticized Samuel Skinner, secretary of transportation under President George H. W. Bush, and the FAA for failing to upgrade the nation’s air traffic control system. In 1992, he convinced the airline pilots union to endorse Bill Clinton for president—after decades of the union standing on the sidelines during presidential races. Six years later, Babbitt backed the decision by pilots of Northwest Airlines to go on strike, which lasted 13 days, the longest strike of its kind since 1989. The strike was the last that Babbitt oversaw as head of the union because he stepped down at the end of 1998. 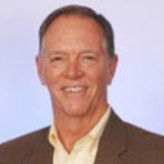 Babbitt left the union in 2001 to found Eclat Consulting, Inc. to provide “economic support for regulatory, legislative, and business issues in aviation.” He sold Eclat to the Oliver Wyman consulting firm (part of the Marsh and McLennan Companies) in September 2007, where Babbitt served as partner. His clients have included Airbus SAS, Alaska Air Group Inc., AirTran Holdings Inc., Hawaiian Holdings Inc. and Pinnacle Airlines Corp. Since joining Oliver Wyman, Babbitt’s client work has focused mainly on advising airlines and labor unions throughout complex restructuring initiatives and negotiations. Babbitt also has served as a director of Access National Bank since it was organized in 1999, and as a director of Access National Corporation (the bank’s holding company) since it was formed in 2002. Industry observers say Babbitt’s first priority as head of FAA is likely to be settling a long-running battle between the agency and its air-traffic controllers. The two sides have been at odds over pay scales and work rules since 2006, when the FAA imposed pay cuts on new hires, dress codes and other workplace restrictions following a period of acrimonious negotiations. Another goal will be to break the political logjam blocking deployment of the next-generation traffic-control system, touted as the best cure for the chronic delays plaguing air travel. The new system isn’t currently scheduled to be fully operational before 2020, and such a long transition concerns lawmakers and industry. Airlines have balked at making expensive technology upgrades to their cockpits, saying they need more proof of future benefits. Outside of his professional work, Babbitt has volunteered for the Boy Scouts of America National Council, St. Mark’s Church in Oakton, Virginia, and the Lake Anna Civic Association.